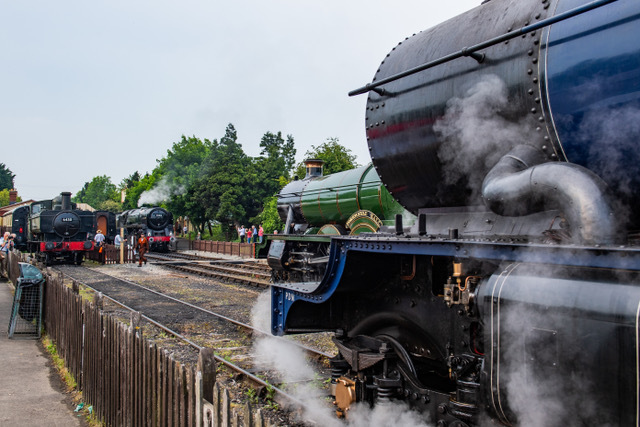 The Gloucestershire Warwickshire Steam Railway have announced that they have just had the best May ever with the King Class. By the end of May, the railway carried over 40,000 passengers, up by more than 50% compared with the same period last year. The main event that attracted the most visitors was the 'Cotsworld Festivle Of Steam'. . With eight locomotives working, including a Great Western Railway King class for the first time ever, it attracted just 40 short of 6,000 visitors. Saturday 26 May saw nearly 2,200 passengers carried - believed to be a record for the Gloucestershire Warwickshire Steam Railway for just one day.